Marvel’s The Punisher will be missing a core character. 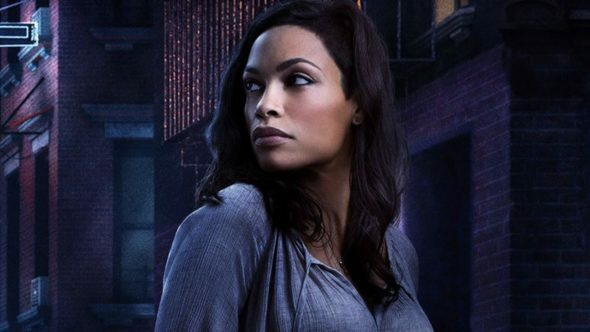 According to TVInsider, Rosario Dawson will not appear in the upcoming Netflix TV show. Marvel’s The Punisher has already begun production and is slated to debut on Netflix later this year. What do you think? Are you a fan of Netflix’s Marvel shows? Will you watch The Punisher? More about: Marvel's The Punisher, Marvel's The Punisher: canceled or renewed?, Netflix TV shows: canceled or renewed? Marvel’s The Punisher: New Series Coming in 2017? Blade, Moon Knight, Ghost Rider: New Marvel Series for Netflix? Oh man I love her quiet popular actress on Netflix marvel shows talent young actress.